maxillofacial prosthesis : any prosthesis used to replace part or all of any stomatognathic and/or craniofacial structure. Editorial Note: the taxonomy for maxillofacial prostheses may include modifiers (adjectives) to provide descriptive evidence of the nature of the prosthesis including anatomic location, retention, support, time, materials, and form. 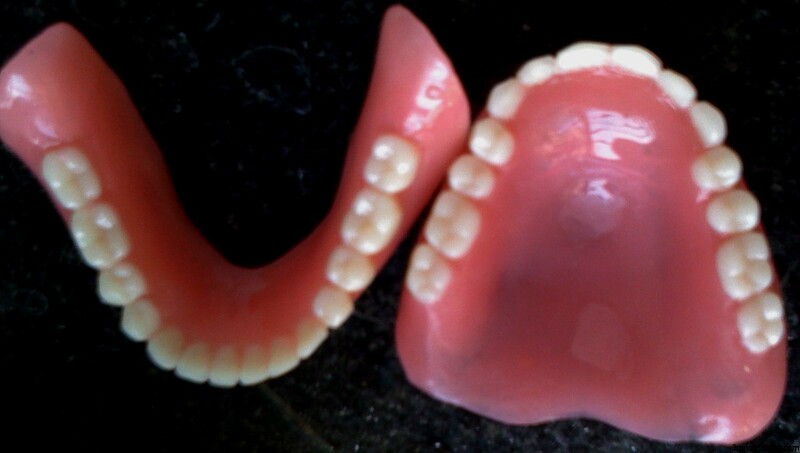 Frequently, the means of retention is used, and may encompass descriptive adjectives such as the adjacent tissue, teeth, dental/craniofacial implants or a combination of such, thus appropriate terminology can include tissue retained MP, tooth retained MP, implant retained MP, tissue/implant retained MP. Descriptive terminology may also be included to delineate time utilization for the prosthesis such as surgical, interim and definitive. mediolateral curve : in the mandibular arch, that curve (viewed in the frontal plane) which is concave above and contacts the buccal and lingual cusp tips of the mandibular molars; in the maxillary arch, that curve (viewed in the frontal plane) which is convex below and contacts the buccal and lingual cusp tips of the maxillary molars. metal ceramic restoration : a tooth or/and implant retained fixed dental prosthesis that uses a metal substructure upon which a ceramic veneer is fused—see COLLARLESS M.C.R. mi·cro·gnath·ia : a congenital or acquired condition characterized by an abnormally small jaw—see MANDIBULAR M., MAXILLARY M.
2mount·ing: the relationship of dental casts to each other and the instrument to which they are attached; see also— SPLIT-CAST M.
mu·co·sa : a mucous membrane comprised of epithelium, basement membrane, and lamina propria—see ALVEOLAR M., ORAL M.